As the headline itself states, it’s just a reminder, and there’s nothing to worry about. Reliance Jio arguably offers the best tariff plans amongst the Indian telecom operators, but since its inception, the company has proved that it also has many hidden terms and conditions for what it offers. Don’t get us wrong, this statement doesn’t relate to this article, but it’s worth mentioning. We all are aware of JioPrime subscription, which is sort of a mandatory subscription for every Jio subscriber at the moment. Back on February 21, 2017, the Mukesh Ambani-led telco announced the JioPrime subscription for the first time saying that it’s valid for one year. So, here’s how that one-year validity goes. Firstly, Jio introduced the offer in February saying that customers can subscribe JioPrime membership until March 31, 2017, later on, it got extended to April 15. As per Jio, the subscription’s validity is one-year from the last date of Jio’s deadline, which initially was March 31, 2017. So even though if you subscribe the JioPrime membership of April 14, 2017, your JioPrime subscription will end on March 31, 2018, which is precisely one-year from the initial subscription deadline. Having said that, Reliance Jio is now collecting Rs 99 from every customer who’s joining the network. It means that if a customer joins the network today and subscribes to JioPrime, then their subscription will end on March 31, 2018, itself. As a matter of fact, even though a customer subscribers on March 30, 2018, their subscription will end on March 31, 2018. As usual, Jio might extend the same JioPrime subscription program for another year, or the company may entirely scrap it, or may even increase the price of subscription, considering the subscriber base it has now. 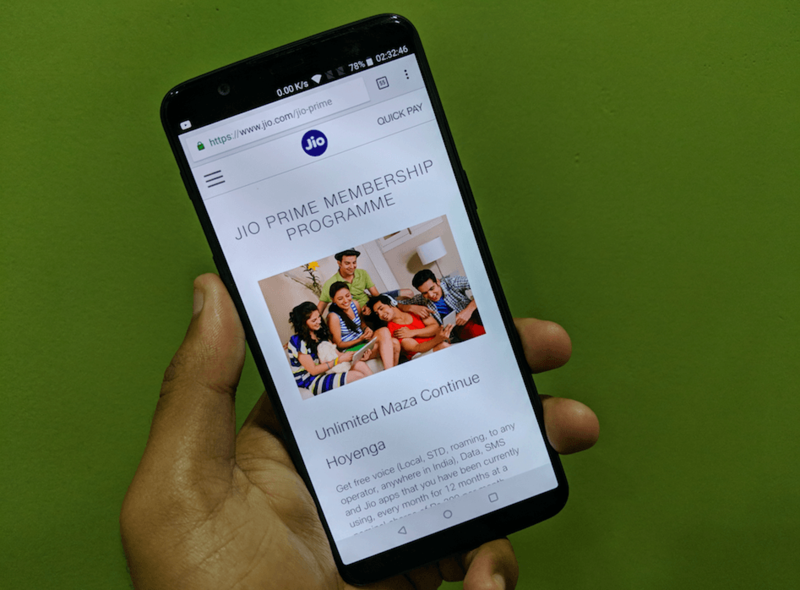 For JioPrime users, the company is offering free access to entire Jio premium applications such as JioTV, JioMusic, JioCinema, etc., which is said to be worth of Rs 10,000. And they also get the best tariff plans in the industry, as I stated earlier. All these JioPrime benefits will end on March 31, 2018. Reliance Jio has been the frontrunner for many firsts in the Indian telecom industry- be it competitive tariff plans, be it unique JioPrime subscription, be it launching an effectively zero priced feature phone. 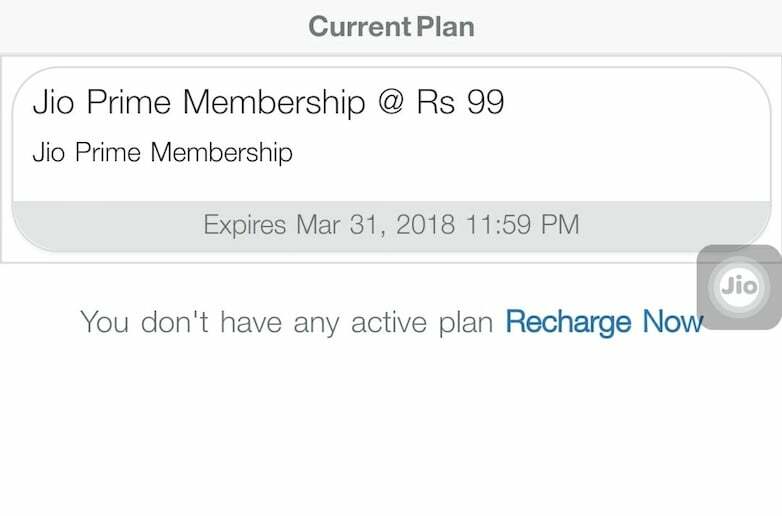 As per the JioPrime terms & conditions page on Jio.com, the company clearly stated the benefits would be valid until March 31, 2018. So many people would have forgotten this condition, which is the reason we had that ‘Reminder’ word in the headline. Are you aware of this condition before reading this piece? Let us know by commenting below. Jio Speed is decreasing day by day, at Crowded places the Internet and Calls are not functioning due to high users latched at Base Tower. I had Complained to JIO Regarding slow Internet Speed at 2mbps to 5mbps at Runwal Greens, Near Link Apartment, Nahur Road, Mulund West, Mumbai 400080, still no improvement in Jio speed. Last year I use to get 11 to 15mbps speed. Airtel is giving 30mbps of speed. Jio is not upgrading the network. After using jio for 6 months. And it also acquired Reliance infocom.